Setting the Table Can be FUN!!! One of the fun little spontaneous learning activities that my Boo and I have done is to learn how to properly set the table. I found this cute Thanksgiving printable of Max and Ruby on Nick Jr‘s website. After printing it off, I stuck it in a sheet protector for extra durability and protection. 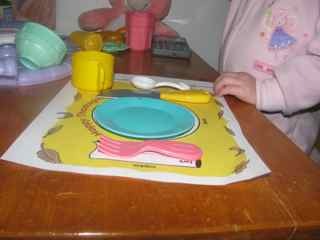 I placed it in front of my daughter during one of our little “dinners” with her play food- showed her how to properly place the utensils and dishes in the correct places, and then let her try. She got it immediately! She LOVED doing this activity over and over (as most of our toddlers do). I then transferred this play activity to setting the table upstairs at the dinner table. My little one still needs the assistance of the mat, and I am SO glad I stuck it in the sheet protector because she has already spilled on it! As you can see from this picture, she is using a plastic knife and a play plate at the table because she doesn’t have a real knife (do they make toddler knives?) and her real plate was too big for the mat. Other than that, this was a real fun learning activity! This entry was posted in learningtime, montessori, practical life, Thanksgiving on November 17, 2009 by ktoponce. I have to first start out this post by saying that a lot of my research has come from a book Basic Montessori Learning Activities for Under Fives, and from fellow blogger mommas out there! I will add in a bibliography at the end of this post if you are interested in learning more! I think we all can see the benefit of teaching practical life skills. We teach our little ones to accomplish several tasks that we might just expect them to learn on their own through observation. An example of this would be just assuming that because our child sees us sweep the floor, that he will have the skills to do it for himself. And we all know how much our kiddos love to help. They want to wash the dishes and set the table and things of that nature- so let them help and teach ’em along the way! Children want to have important things to do during the day- just like us adults- instead of trivial activities. Practical Life Activities are broken down into three categories- Manipulative Skills, Self Development, and Care of the Environment. The practical life activities listed are going to be categorized in this fashion. 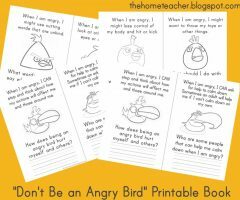 I am going to write down as many as I can come up with and links to some amazing activities to help you teach it to your child. Phew!! 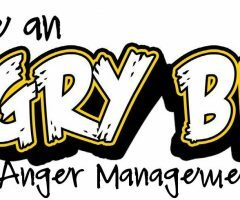 This is a lengthy list- and it isn’t everything.. but it should give you a pretty good idea of what activities are considered Practical Life lessons! And I bet you are teaching your little one so many of these things already. Remember it’s all about explicit instruction and modeling, giving your kiddo the chance to do it for himself repeatedly, and then using that skill as a foundation for a more challenging activity. 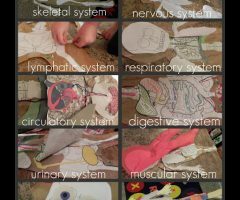 Since this is where a lot of emphasis is placed on the smallest of tots, I will focus on making some specific learning activities for my daughter (despite the fact that many of these I will teach as the opportunity comes up in real world situations). I need to get a plant (one that needs watering), make some dressing boards, and collect some transfer materials such as tongs and tweezers. My daughter loves opening and closing boxes, so in true Montessori fashion I should have some activities based on that. My goal is to make materials and learning activities as REAL as possible. I will write some follow up posts of the implementation and our little journey towards independence. Mont Home- Practical Life– MUST CHECK THIS OUT!!! Good Tree Montessori– another fabulous Montessori mommy site! 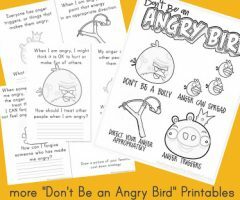 Post Update: Click on this link to download a pdf of these practical life activities! 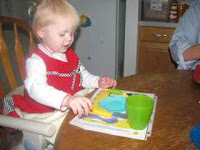 This entry was posted in montessori, practical life on March 28, 2009 by ktoponce.